Next door to yesterday’s David Syme House is the J.H. 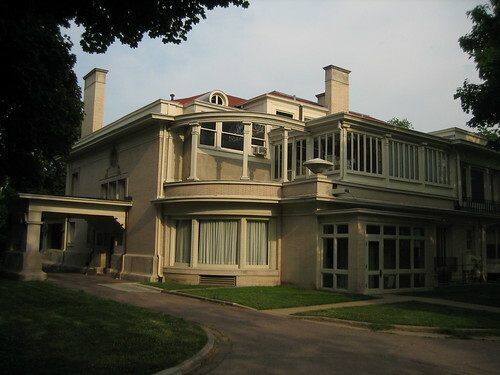 Rogers House, a peculiar blend of Queen Anne and Romanesque Revival styles. 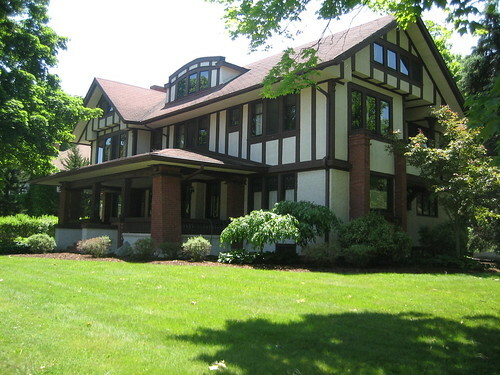 It has the obvious turret of a Queen Anne home while also having prominent Romanesque arches. The home was built in 1890 for Rogers, a respected dry goods merchant who settled in Sycamore in 1858. Posted by dr. gonzo in Architecture, Houses, Prairie style. 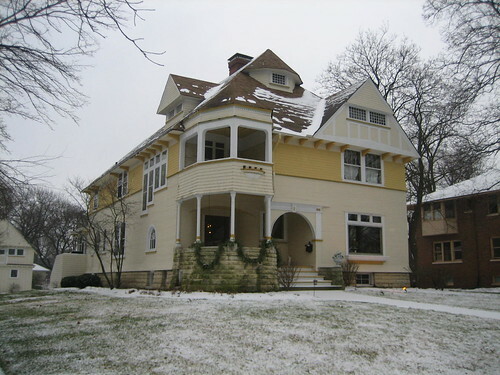 DeKalb has several prominent historic homes but the Anderson House may be one of the least known. The Anderson House is part of a local historic district but doesn’t have federal recognition on the National Register yet, I am hoping to alleviate this. 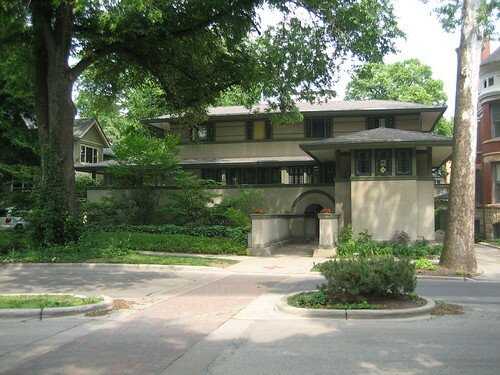 The house is commonly mistaken for a Frank Lloyd Wright work, but it’s not. Posted by dr. gonzo in Architecture, Frank Lloyd Wright, Prairie style. 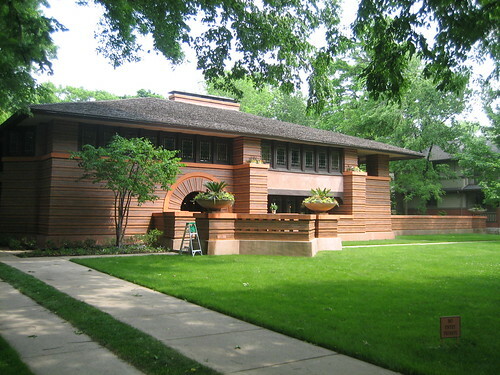 Frank Lloyd Wright designed his many buildings mostly in the United States, and they were mostly residential in nature. However, he left his mark on other types of buildings as well, arguably his most famous work is the Guggenheim Museum in New York, a decidedly non-residential building. 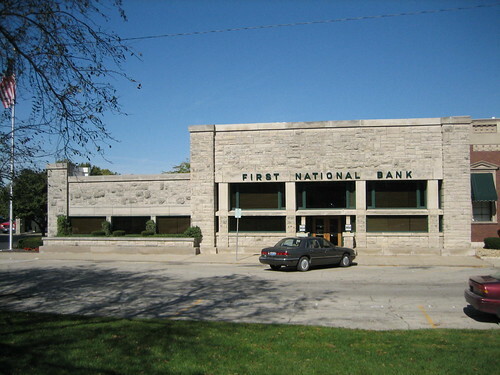 In the Livingston County, Illinois village of Dwight, is a little known example of Wright’s mastery, tucked into a storefront setting in the tiny village’s downtown business district, the 1905 Frank L. Smith (aka First National) Bank. 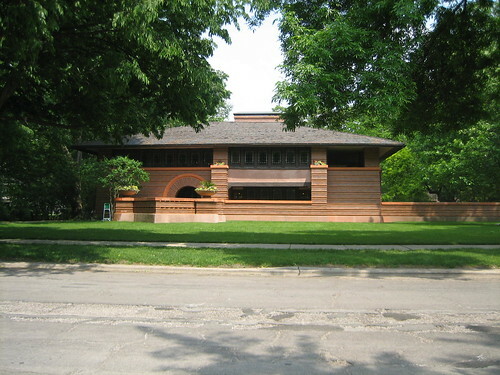 Posted by dr. gonzo in Architecture, Frank Lloyd Wright, National Register of Historic Places, Prairie style. Okay, enough of the politics nonsense. On, to hidden wonders, and not so hidden wonders, right in my own back yard. 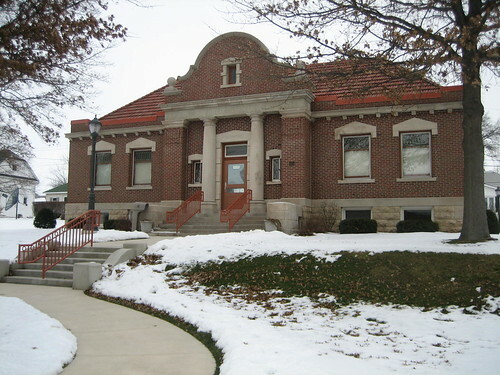 Below is an image of the Pettit Memorial Chapel in Belvidere, Illinois. Belvidere is the county seat of Boone County. 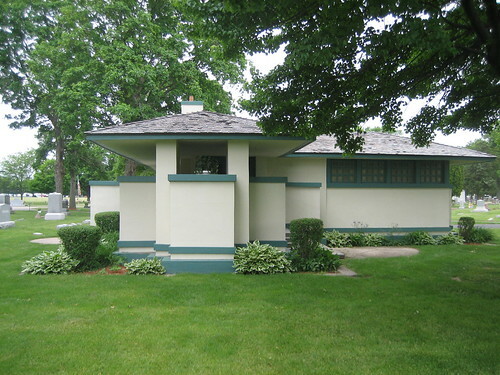 The chapel was designed by master architect Frank Lloyd Wright as a memorial for Dr. William Pettit. You can learn about the history and architecture of the structure in the chapel’s Wikipedia entry, which I wrote.